5 Fallish Things To Do! The weather is changing, the shadows are getting longer, and of course the leaves are beginning to become more colorful which opens the door to a new season of gardening. Every season has it’s own specific chores and things to do. Winter is for planning, spring is for starting, summer is for maintenance and harvesting, and fall is for harvesting! Of all the seasons fall is probably my favorite time of the year. The days are refreshingly cool, the leaves are bright and colorful, and it is a joy to be out accomplishing garden chores in that kind of weather. So let’s plan ahead and see what we have to look forward to this fall! 5 Fall Garden Things to Do! Take care of all those leaves. Leaves are an awesome resource. When they change, drop, and decay they enrich the soil. Leaves can sometimes go where you don’t want them and so we rake them and move them elsewhere but what should you do with the leaves? Compost the leaves! Leaves make an excellent additive to compost bins. Use leaves as a mulch. 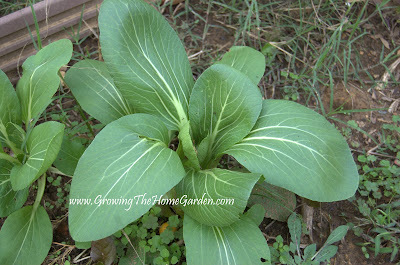 Depending on the type of leaves you use leaves can be a great mulch. Large and thick leaves like oak or sycamore may need shredded first. Shred and leave them on the lawn. As the leaves break down they will feed your soil. Run them over with a lawn mower until they are small enough to not smother your grass. Don’t bag your leaves and send them to the dump! They are a great resource. If you don’t want them contact your local garden club or Master Gardeners Association and I guarantee someone will be happy to add your leaves to their compost bin! I know I would! Plant your fall vegetable crops. Fall is a great time to get those cool season vegetables growing again. Spinach, kale, chard, Brussels sprouts, lettuce, pak choi, beets, radish, and many others can be sowed for fall and winter harvests. If your climate is mild enough you may be able to harvest year round! Clean up your garden. Take out the dead plants that didn’t make it through the summer and replace them. Move plants that didn’t perform well or were planted in the wrong spot to new locations. The milder weather makes the odds of transplanting and plant survival much greater! Mulch – is there ever a bad time of the year to mulch? It’s always helpful. It regulates the temperature, protects the soil from drying out, and adds nutrition to the soil as it decays. Plant shrubs, trees, perennials, and bulbs. Fall is THE BEST time to plant just about any perennial, shrub, tree, or bulb for next year. Fall planted plants grow roots when everything is fading away toward winter. The roots get established over the winter and in the spring are ready to propel the plant toward new growth. You can also sow seeds for next year. Poppies, echinacea, rudbeckia, cosmos, and many others can be sown in the fall for your enjoyment next growing season. There’s a lot that can be done in the fall. It’s coming very soon so put these things to to on your radar and plan ahead to enjoy your garden this season!